Dyre is the PUP that uses misleading techniques to prevent removal. Use Reimage to locate malicious components and get rid of them faster than with uninstall instructions. A full system scan blocks virus reappearance and prevents traffic to malicious domains. How can Dyre virus infect my computer? How to remove Dyre virus? Dyre virus is a dangerous trojan horse, which in other sources can be found named as Dyreza or Dyre/Dyreza. Also known as banking malware or banking trojan, this virus has mostly been used for stealing people’s financial information and money. If this cyber threat enters computer, it starts tracking its victim by recording every single keystroke that he/she enters. That’s how it collects personally identifiable information about him/her. It addition, after it accumulated needed quantity of data, it connects itself to its remote server and sends everything what it managed to collect to its owner/hacker. 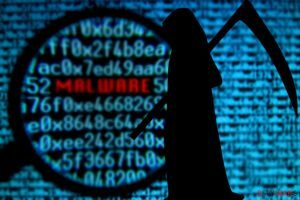 It is believed that Dyre virus has already helped for hackers to steal hundreds of thousands of dollars or it is not going to stop. By the way, according to the latest news, this trojan horse has recently been updated and filled with new capabilities. At the moment of writing, it can also be used for stealing people’s logins or redirecting them to dangerous and unsafe websites. Here, their computers can be infected with other cyber threats that can be used for other dangerous activities. All in all, it’s clear that Dyre virus is a serious cyber threat that must be avoided. For that you should install reputable anti-virus and anti-spyware, and keep it up-to-date. We think that you should select Reimage as it is a powerful anti-spyware that is filled with various useful features, including the protection against trojans. Dyre virus is mostly spread via spam, so you should be very careful with suspicious emails and files that are typically attached to them. If you fall for downloading an infected attachment, you may end up with this or similar trojan horse. When trying to spot fake email, you should firstly check the sender and its trustworthiness. If you see that sender’s address has nothing to do with the company he represents, you should ignore this mail or simply delete it. Also, look for typo or grammar mistakes because they can also help you notify the malicious mail. Finally, look at message’s body and what it states. If it informs you that you won in some lottery, received some money after the death of unknown person and so on, you should ignore this mail. If you think that your computer is or may be infected with Dyre virus, you should act immediately because every minute counts. Keeping this virus on the system can easily end up with money or financial information loss. In addition, you may become a victim of identity theft. If you believe that your PC is infected with Dyre virus, you should remove it as soon as you can. Otherwise, you can easily lose your money or be redirected to malicious site that seeks to steal your logins and passwords. For eliminating this threat from the system, scan your PC with reputable anti-spyware and get rid of infected files it detects. For that we recommend using Reimage or Malwarebytes MalwarebytesCombo Cleaner. This entry was posted on 2015-03-03 at 15:22 and is filed under Trojans, Viruses. You can quickly scan the QR code with your mobile device and have Dyre virus manual removal instructions right in your pocket. How did you remove Dyre virus?